“You don’t know who I am,” Tony Conrad told a reporter for a profile published by The Guardian in March 2016, “but somehow, indirectly, you’ve been affected by things I did.” File that quote under massive understatement: Conrad, who died just a few weeks after that article appeared, numbered composer, filmmaker, visual artist, and media-studies professor among his myriad fields of endeavor. Increasingly celebrated by the fine-arts establishment, Conrad was a founding figure of minimalism alongside La Monte Young, Marian Zazeela, Angus MacLise, and John Cale, and a trailblazing director. He also was a lifelong opponent of elitism and snobbery, counting his everyman public-access television projects among his proudest achievements. 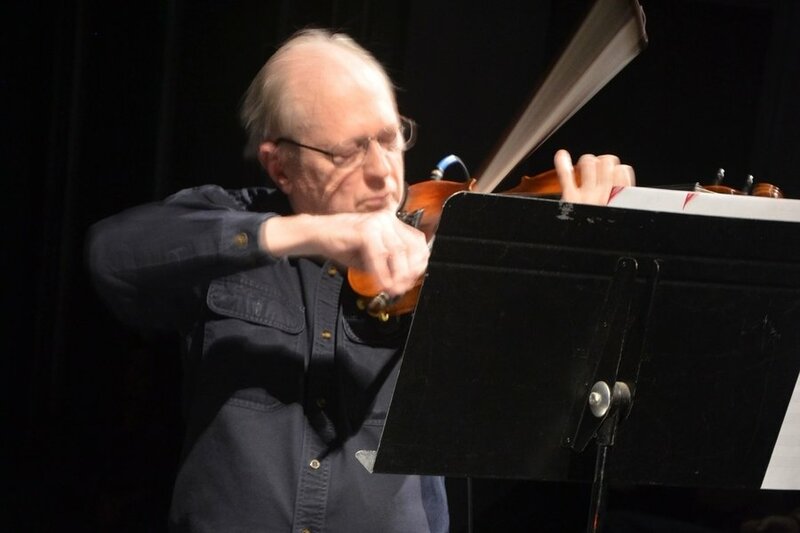 Small wonder, then, that Introducing Tony Conrad: A Retrospective, a new traveling exhibition, presently commands the space and resources of two major Cambridge institutions: Carpenter Center for the Visual Arts at Harvard University, and MIT List Visual Arts Center. Conrad was involved with each institution during his lifetime; now, both join forces in an attempt to contain the unruly sprawl of his creative life’s work. For detailed analyses, I warmly commend the insightful reviews written by Geeta Dayal in Artforum (concerning the show’s initial iteration in Buffalo, NY) and by Cate McQuaid in the Boston Globe (about the present installations). 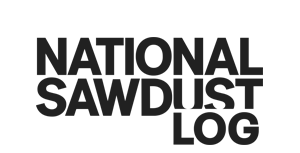 Speaking generally, the Carpenter portion of the show is most concerned with film and television, thoughtfully incorporating personal on-demand video portals. One inspired room is devoted to Yellow Movie (video) (1973), a mesmerizing installation involving 20 of Conrad’s influential Yellow Movie canvases and two fluorescent-light fixtures, amplified to produce a continual hum. But other objects – including Phonarmonica (2003), a fantastical musical instrument made out of a power drill and stacked shellac records – are squirreled away in corridors and a basement, like casual adornments. At the List, video is present, but objects dominate. One room is devoted to puckish invented instruments; another features sly celluloid evocations and distortions (Yellow Movie canvases, three funky jars from the Pickled 3M 150 series, and Flicker Matte among them); a third is occupied by Conrad’s overwhelming video installation Panopticon. A fourth gallery includes poignant late paintings for which Conrad used underwear meant for the elderly as canvases. A final room showcases WiP (2013), comprising a life-size model of two prison cells, a strobing light fixture, and a looped film in which artists Tony Oursler and Mike Kelley improvise raucous scenes inspired by cheap women’s prison exploitation films. Long-form videos, including the irreverently corrosive Beholden to Victory, are screened elsewhere in the building. 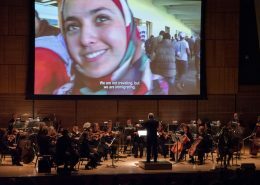 Both parts of Introducing Tony Conrad allude to his musical activities, the MIT portion more directly with its instruments and scores. 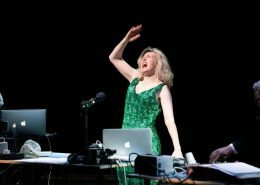 But on Dec. 1, the List celebrated Conrad’s sonic legacy outright, presenting a concert in conjunction with the incomparable Boston experimental-music series Non-Event. The lineup included two of Conrad’s best-known colleagues and collaborators, Henry Flynt and Lary 7; an after-party featured dream-pop duo Damon & Naomi—whose link to Conrad, via echoes of the Velvet Underground, was more honorary than audible here, but no less admirable for that. The concert alternated between the List Center’s lobby and the ACT Cube, an intimate downstairs space. It was in the latter that Flynt opened the proceedings: first haltingly, then overwhelmingly. Most of my writings are really collaborations with Tony Conrad. I often find that I don’t understand my own position until I know how it appears to him. Bradford Bailey, in a passionate essay posted on Blog the Hum, offers a fierce argument addressing Flynt’s singularity, primacy, and historic neglect. At 78, Flynt continues to perform ecstatic, ragged works in long, repetitive forms, intensely amplified to emphasize keening, throbbing overtones. He started here with 2017, in which his amiable bowing and scruffy strumming unspooled over what sounded like a looped sample of “Walk Like an Egyptian.” Thematically, you might sense some common thread to earlier creations like Lonesome Train Dreams. It amounted to a playful eight-minute caterwaul, if not much more. The name of Flynt’s second piece, Everlovin’ Game On, evoked that of his best-known work: You Are My Everlovin’, a visionary fusion of raga and Appalachian fiddle music that echoes and expands the notions and aspirations of nascent minimalism. Over a trance-inducing tanpura drone, Flynt fashioned lines that swooped and soared, dipped and glided, his tone at times exploding into coarse grain or glistening shards. This was, in a word, transcendent: a tour de force of selfless intensity and aural bliss, sustained for close to 30 minutes. After Flynt’s set, audience members headed upstairs to the List Center’s lobby – airy and spacious, if slightly awkward for performances since seating has to be squeezed between a wide stairwell and an elevator – for Lary 7’s portion of the concert. 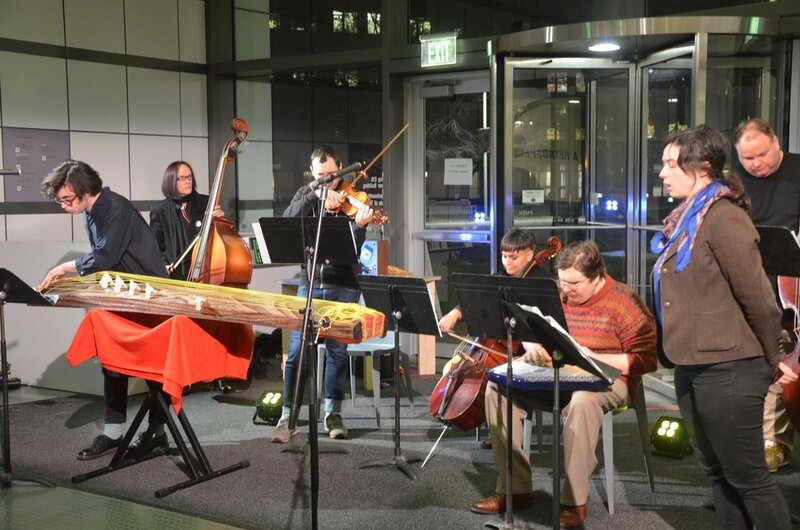 To present Three Loops for Performers and Tape Recorders, Lary 7 assembled some of Boston’s most admired musical adventurers: Joseph Allred on autoharp, cellist Laura Cetilia, vocalist Noell Dorsey, violinist Morgan Evans-Weiler, bassist Damon Smith, and Alexander Whiting on bass koto. In addition to controlling two vintage Tanberg open-reel tape recorders, the leader also played on a second double bass. But unlike the hypnotic repetitions Riley pursued or Fripp’s cumulative melodies and cloud-bank chords, Conrad’s piece reflects his interest, as he described it in a 1996 interview, in “timbre and process, not rhythm.” The work’s progress is rule-based, calling for an orderly procession of intervals in just intonation, a second sequence of repeated motifs, and a final section in which schematically adjusted machine volume eventually produces roiling feedback. The process, which admittedly wasn’t always evident to this listener, surely accounts for sensations of motion and cohesion. 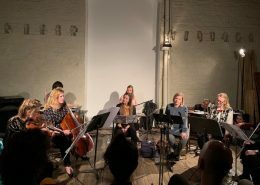 Here, as in a previous performance Lary 7 presented with New York musicians at Issue Project Room in 2017 (happily, preserved on video), discreet instrumental gestures acquired ghostly echoes barely perceptible at first, swelling gradually over the performance’s 33-minute duration. But rippling autoharp and the koto’s signature pluck gave this rendition a singular profile. Bolstered by two basses, this latest account of Conrad’s fascinating work culminated in a satisfyingly meaty growl that was all its own. 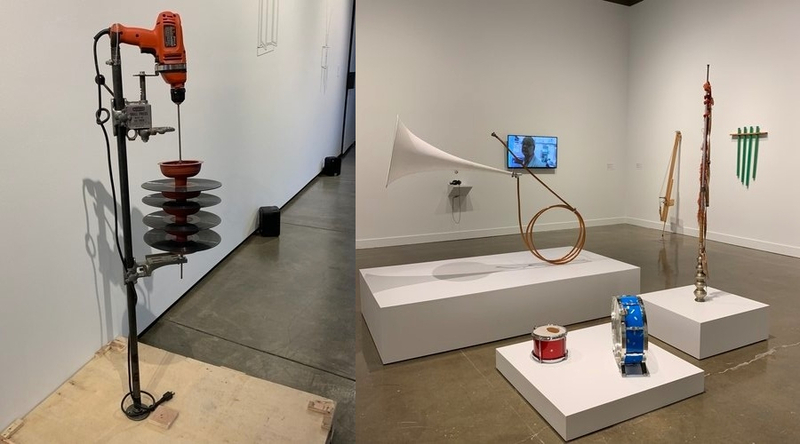 Introducing Tony Conrad: A Retrospective is on view at Carpenter Center for the Visual Arts at Harvard University through Dec. 30 (carpenter.center), and at MIT List Visual Arts Center through Jan. 6 (listart.mit.edu).